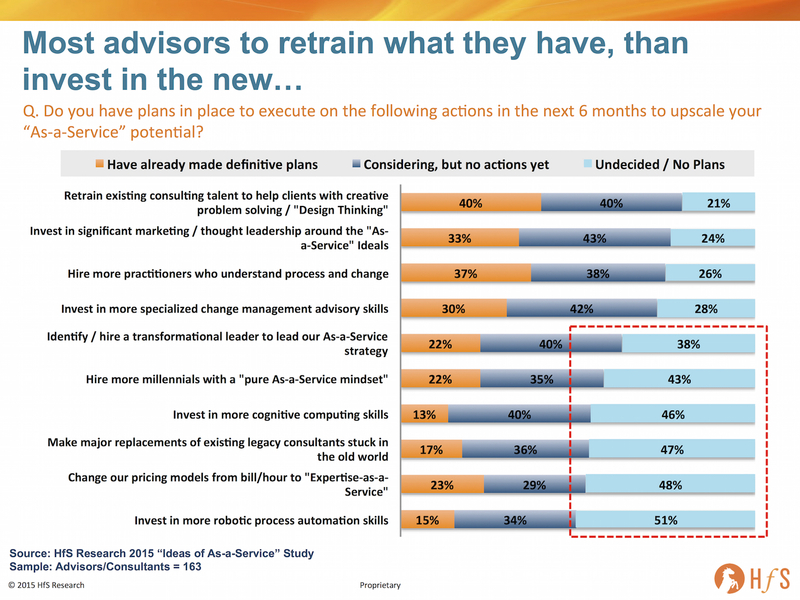 If I told you that only 13% of sourcing advisors have plans to invest in cognitive computing and 15% in Robotic Process Automation skills, you wouldn't believe me, right? Advisors have been schooled on driving out their clients' costs, as opposed to adding real expertise and value. 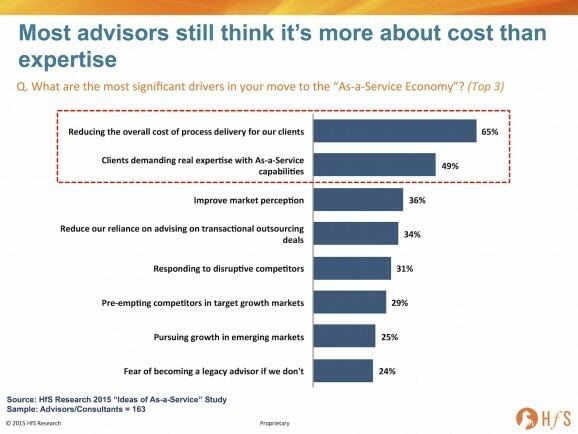 Encouragingly, 49% of advisors are getting sucked into As-a-Service because their clients are demanding it, but the sad fact of life is that two-thirds of them still think it's still really all about driving out cost. 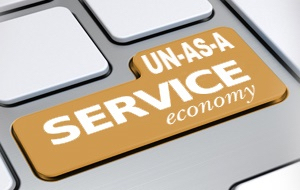 As-a-Service is all about providers delivering and buyers receiving more productive, more intelligence, more cost-effective services through the use of smarter automation, analytics and business context - and there is, typically, a considerable amount of pain and transformation the client needs to endure to attain that next threshold of productivity. Most advisors are only focused on making cosmetic changes to their existing practices. As you can see here, it's all about making a few tweaks to what they have, as opposed to making genuine upgrades to their pool of talent and capabilities: 80% are focused on / thinking about retaining their existing team, 76% on puffing up their marketing, and a similar number on hiring process-focused and change management-focused consultants. There just seems to be the complete absence of a burning platform to force the change so many industry stakeholders need to make, to prepare for the future model. While there is still money to be made eking out a living feeding off the scraps of legacy outsourcing deals, many advisors, similarly to many providers, are failing to make the adjustments and investments that will position them to compete for As-a-Service engagements as they increase in demand. While this isn't a short term crisis for these firms, my fear is that when the old stuff does peter out, it'll be far too late for many advisors (and providers) to make the changes they need to make to survive. I don't believe this is a conscious decision by many advisory firms not to make the right investments, it's more they simply do not know how to find the right talent and leadership to make it happen for them. Many know the change is coming, but simply are in denial that they can force through the internal investments that they need to make. And many still have senior executives whose careers got stuck in a 1990's timewarp, and simply haven't evolved their own knowledge, skills and experience. It’s like going to a dentist and not being able to see a digital X-ray of your teeth... would you keep buying services from someone who hasn't read a text book, or had some form of new skill development over the last couple of decades? If I was a betting man, I'd predict a very different landscape of advisors competing for market leadership in a couple of years at the current rate of legacy-ness and Un-as-a-Service-ness we're experiencing today. Love it! the interesting issue is...where will the advisors get their new talent from? Are they exciting enough as a business to attract the right talent? Good insight. Finally more thought-provoking research and analysis on the advisory industry. You are the only one doing it. The advisors need to be held accountable for keeping pace and transforming with the "industry shifts" affecting providers, clients and advisors -- or they are simply providing bad advice. Please continue to challenge this space. Robots ate my consultants, and auditors, and tax advisors, etc. A good thing for the most part. DNA is DNA. A horse whipped harder is a slightly faster horse. An advisory firm pushed to have perspective and informed guidance on new trends is a slightly more useful advisory firm. But horses that run a little faster can't compete with cars. And advisory firms that sprinkle in buzz word and embryonic frameworks can't compete with specialists. So, as you say Phil, it's 'new landscape' time. In addition, as long as the Sales approach is the same (cheaper, cheaper, cheaper) - that which is delivered can remain happily calcified. And, there are not a lot of specialists in cognitive computing and process automation to go around. Once deployments are more common, services firms will shed their talent as it heads into advisory firms willing to pay dearly to make up for their deficit in sought after skills. For the time being, the experts that do exist seem happy to be disruptors and entrepreneurs. Long live legacy-ness! Hmmm. Painting an entire industry with a monochrome single colored brush is dangerous. While I do see some TPA firms who resemble that single colored canvas you describe, I think there are others who are at or ahead of the more progressive picture you paint. Let me know if you would like to see more as I may know some people how can show you a multi colored canvas that will bring a smile to your face. 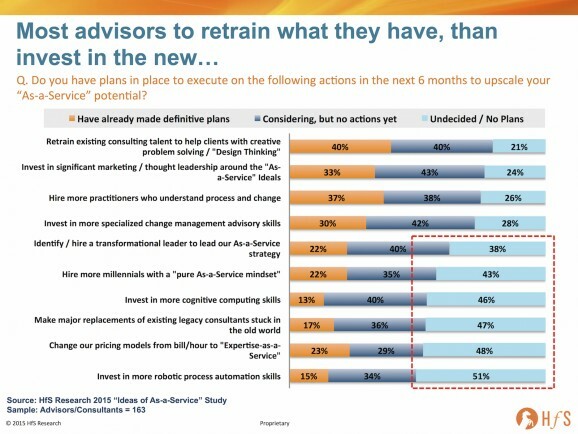 End of the day, when only 15% of advisors are making genuine investments in areas like RPA, we have a major issue - and this is a great chance for ambitious advisors to demonstrate to the world they are bucking the trend. perfect observation! We have been working on the digital sourcing advisory model for many years and introduced and trademarked a service called "Sourcing Advisory as a Service (SAaaS®)". It may be discussed which geographic region is more advanced in adapting such offerings, but we see clients still being hesitant to leave the traditional advisory model. When it comes to procuring advisory support, the hourly rate is making the difference and not the value the advisor adds through a more efficient model. It is more the provider community which is open to a service-oriented advisory model. They see the value of relationship-driven advisory not just looking at short term commercial benefits for the client. How do You see as-a-service and RPA impacting the traditional approach of leading with process design and implementing enabling technology to support those processes? Will we see a shift toward technology as the driver, where processes are designed to align with technology? @Al - a lot depends on whether RPA is native to the software application of being "retrofitted" after the fact. For new "As-a-Service" implementations, where the client "plugs in" to the service, the entire technology is hosted in the cloud by the provider with native RPA already embedded in the platform. The advisor role could be to help with the post-implementation business redesign to work with the technology. So, yes, in instances where the client is moving to As-a-Service delivery, the focus does shift to redesigning / aligning process with technology. Where the client is retrofitting RPA into a legacy environment, then it becomes a challenge of the client figuring out which processes to automate, and which do not make sense... drawing up a roadmap and strategy etc.